Dimensions: LWH: 68" x 25" x 44"
The Hampton 3T-SDL-10 Three Tier Dumbbell Saddle Rack is perfect for those with floor-space constraints. 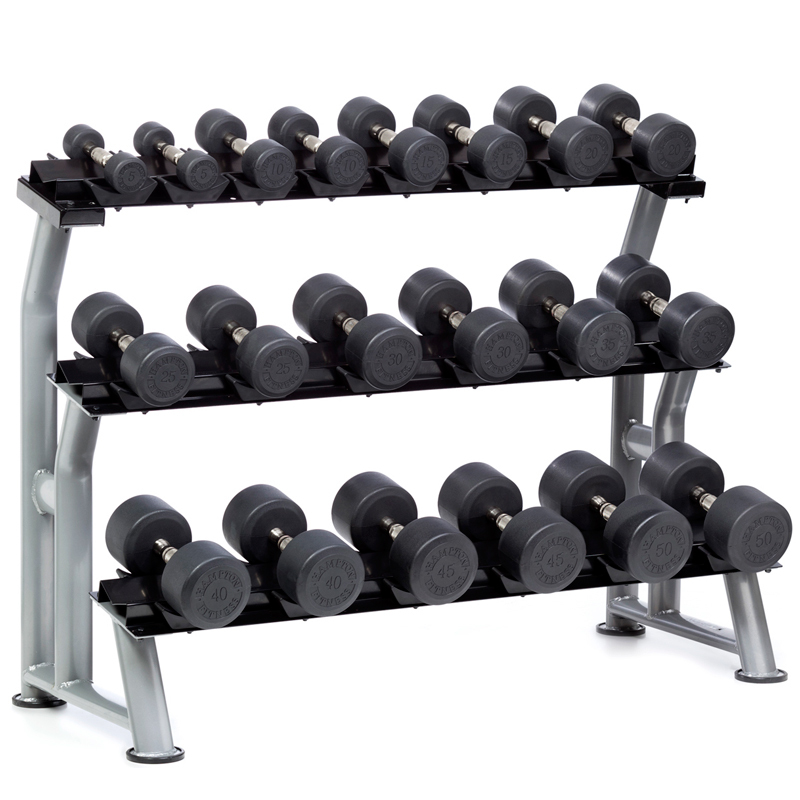 Hampton's saddle-style dumbbell racks have bio-mechanically designed tiers to make loading and off-loading your dumbbells safer and less labor intensive. 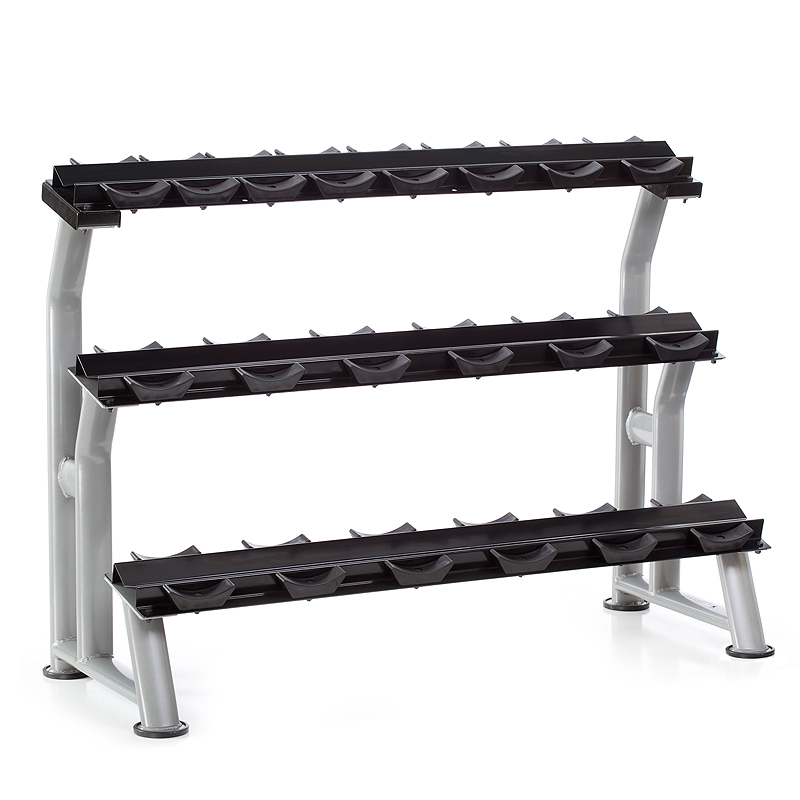 All of our saddle-style racks are constructed for heavy-duty usage from 12 and 14 gauge steel. 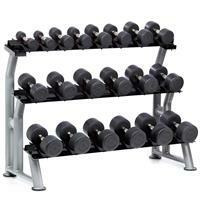 Designed to hold 10 Pair of Pro Style Dumbbells. 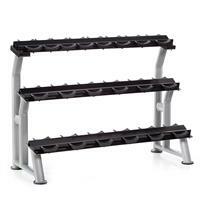 Heavy duty construction made of 12 and 14 gauge steel.